Free Download from Fresh Avenue! Why use Fresh Cut Produce in your Restaurant? It’s a little known fact that you can solve some restaurant problems with produce. 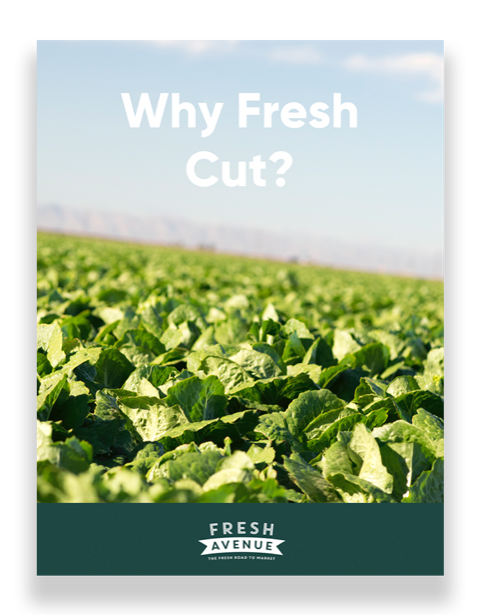 In fact, using a fresh cut program instead of whole can help with foodservice budgets, food safety, and rising labor costs. Download our comprehensive guide that shows the different ways restaurant operators can benefit from a fresh cut produce program. Free Download, Why Fresh Cut?